I have lost 28 pounds and one of the indulgences that I really miss is enjoying a nice cocktail with my husband on occasion. Go Cocktails! is a new sugar-free cocktail mix that is designed for on-the-go use. These little packets are the perfect size to toss into your bag. Simply add the alcohol of your choice and water and “voila” a tasty cocktail without all the sugar and carbohydrates. There are four delicious flavors to choose from including Cosmo, Appletini, Margarita and Lemon Drop. Each box contains 8 packets to make 8 servings. There are only 5 calories and no sugar or gluten in any of the Go Cocktail! 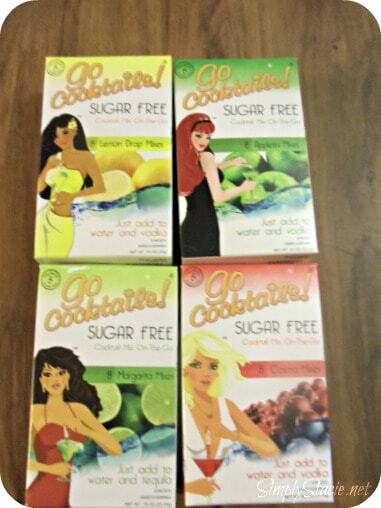 sugar-free cocktail mixes. The Appletini (my favorite) was very tasty and I added ice cold water and vodka. My husband enjoyed the Margarita as I don’t care for tequila and he said that he was surprised that it tasted so good since it was sugar free. We both enjoyed the taste of the Cosmo and the Lemon Drop mix. Finally, I have a guilt free way to drink a cocktail. I plan to pack a box of these for our upcoming vacation……enjoying an Appletini with my husband on the deck of our mountain cabin overlooking the Shenandoah river, bliss! You are invited to visit Go Cocktails! 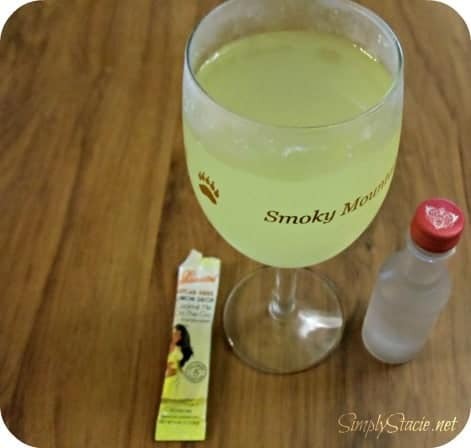 to get tips and recipes and to get more information about purchasing Sugar Free Cocktail Mix On-The-Go.